Grace, and beauty, it can be a true joy to watch as a dancer expresses there emotion as they move, feeling the joy and the sadness is truly a gift that is being shared. A moment in time in which you forget where you are and absorbed in the story being told. Unaware of anything around you, focused only on the dancer until the end and as the dance stops you are sad for it is over, and glad to have been a part of it. "Richard Hoover"
Quality Music and Dance located in the Great Bridge area of Chesapeake offers a wide variety of classes, but our true desire is to instill a love of the arts in hearts of our students. We offer a full program of dance styles such as Ballet, Jazz, Acro, Hip Hop, Contemporary, Tap, Preschool Dance, and Vocal Dance Choreography. All of our dance studios are fully air conditioned and have viewing windows, as well as LED video monitors in the waiting area so parents can view the progress of the dance class. What a wonderful age this is!!!! Head, shoulders, knees and toes! Yes, body awareness and building independence away from mommy and daddy is what this is all about. Giving them time to decide if they like fast or slow movement, learning high vs. low, right and left among many other lessons. Colors, letters, numbers are introduced and used in a fun dance movement setting! This class is not a mommy and me however usually in the beginning most will need mommy. Our goal is to gradually work mommy out of the room to work on that self confidence. This class is perfect for your mini me to be introduced to the world of dance! This class focuses on coordination, short / long term memory, natural movements (skipping, balancing, ect.) all while being introduced to Ballet and Tap. Using all our wonderful movement tools the students are engaged and always learning! Class Maximum is 10 dancers however; depending on the individual class we may close them at 8 dancers to make sure they are getting all they can out of the classes. This class is perfect for our little dancers that are a wee bit older or have had some dance experience before in a structured class. This class encompasses a wonderful introduction and foundation to Basic Ballet, Tap and Classroom etiquette. Using age appropriate tools, smiles and lots of positive encouragement your young dancer will love this class. Class Maximum is 10 dancers however; depending on the individual class we may close them at 8 dancers to make sure they are getting all they can out of the classes. We are so excited to offer all of the above classes for you dancer! We highly recommend that they take Ballet and add on the other classes as electives. 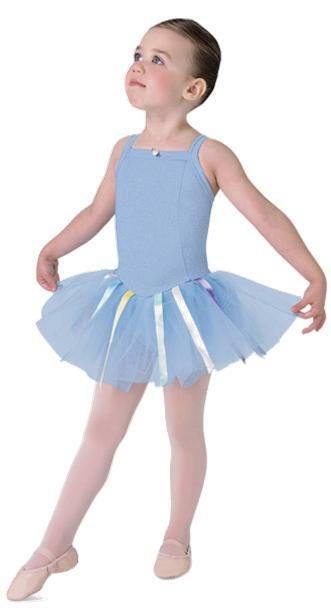 Ballet is the foundation of all dancing and is important that even as a recreational dancer your child has at least a basic knowledge of the terminology moves and steps. See our schedule for available classes!!!!!! Our dancers so enjoy this program! Focusing only on floor tumbling and acrobatics this is not a gymnastics class. We do not use balance beams, barres ect. Using the acro and tumbling to enhance their dancing the students get a full hour class taught year round. This class also participates in the year end dance recital. Classes are designed to stress proper body placement, core, balance, and the use of terminology. Since the fundamentals of all major dance forms come from Ballet, its study is recommended for all serious and recreational dancers. This dance style is one you make your own. Hip-Hop originally started with break-boys, acquiring the name B-Boys and break girls called B-Girls because they danced during the breaks of the music. DJ's started cutting, scratching, and splicing the music to make the break longer. Hip-Hop is "flava" steps found on the streets and moving your body through isolations, lock and pop movements. Tap dance is a major part of our American Culture from the great tappers of Fred Astaire, Savion Glover, Gregory Hines, to today's tappers such as Mike Minery, Laurie Johnson and Debbie Dee. Tap teaches syncopated rhythms with exercises to develop. LYRICAL- A blend of Ballet, Jazz, and Modern, students learn to apply and combine the rhythm of Jazz, emotion of Modern, and the technique of Ballet. The dancer must take on the role of the character and tell a story through facial expressions and body dynamics. This type of dance can take on two styles, Broadway or Funk, which is commonly seen on MTV. Classes consist of strength building, flexibility, proper alignment, isolation's, leaps and turns. The perfect blend of Jazz and Ballet! This style shares stories through movement and emotion. EVALUATION CLASS: All incoming dancers are invited to a complimentary Dance evaluation to insure proper class placement. CALL TODAY and sign up your child for this free class.